The company announced a new microwave and a smarter Fire TV Recast. Amazon unveiled dozens of devices and features -- including microwaves, cars, DVRs and networks used throughout the home on Thursday in its latest move to bring its artificial intelligence into all aspects of modern life. Dave Limp, senior vice president of Amazon Devices, introduced the products at a "surprise" event at the internet retailer's headquarters at The Seattle Spheres, according to the company's live blog. It was the largest such reveal for the company in one day. 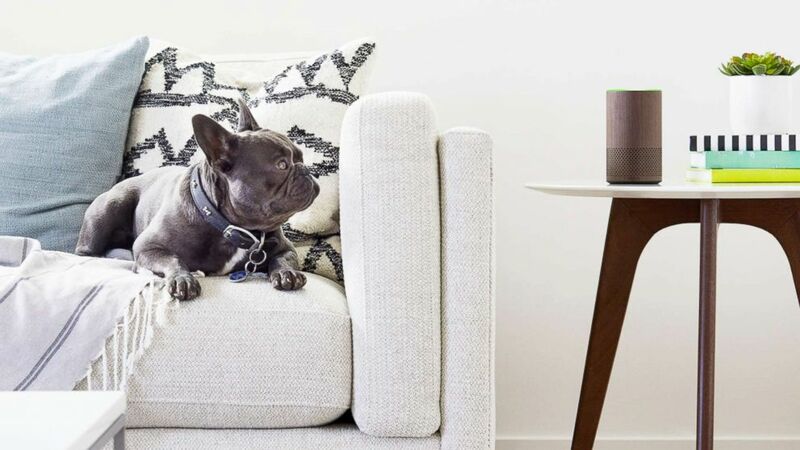 (Amazon) An Amazon Echo sits in a living room in an undated marketing image from Amazon. The lineup of 14 new devices and dozens of new abilities for Alexa — including the capacity to understand your whispering and whisper back to you — seemed poised to propel consumers into a "Jetsons"-like existence. "We want you to have access to Alexa everywhere —in your kitchen, in your living room, in your office, and now in your car or truck," said Tom Taylor, senior vice president, Amazon Alexa. Thursday's rollout fills whatever gaps there were in the Amazon suite of products that limited where and when Alexa could accompany users. Despite all of its other product offerings, Amazon doesn't have, say, a smartphone that is always within a customer's grasp. "Amazon has won over the consumer by forcing them to embed Amazon into their life. This is dependent on perpetually broadening how much of their consumer’s life they touch," Simeon Siegel, a research analyst at Instinet, told ABC News. Amazon introduced the new Fire TV Recast, which is essentially a DVR that enables users to watch, record and replay free over-the-air programming to any Fire TV, Echo Show, or compatible Fire tablet or mobile device. (Amazon) The Amazon Fire TV Recast interface is seen in an image released by Amazon on Sept. 20, 2018. 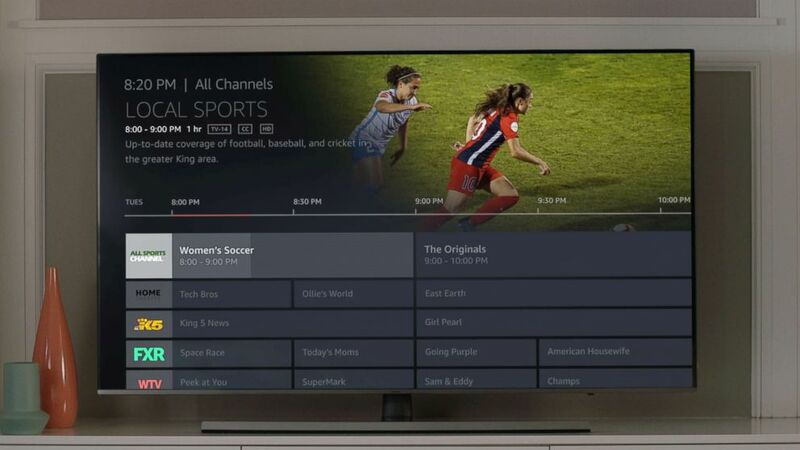 "Stream live TV anywhere from shows to local news, sports, and more from stations like ABC, CBS, FOX, NBC, PBS, and The CW," Amazon's blog said. The Fire TV Recast can record up to four shows at once and stream on multiple devices at a time. Naturally, the Fire TV Recast can pair with Alexa, making her search for shows and recordings, or change over-the-air live TV channels. Alexa will also be able to schedule, cancel and delete recordings. After much hype, the AmazonBasics Microwave was finally revealed. For users who find pressing buttons on a microwave too taxing, this one is integrated with Alexa, allowing artificial intelligence to cook dinner. It's also linked with Dash, so it knows when users run out of popcorn or other foods. Priced at $59.99, the microwave is available to pre-order on Thursday and will start shipping later this year. Amazon also pushed out an Echo Wall Clock, a physical display of Alexa timers, alarms and reminders that resembles an analog clock. It will also automatically deal with Daylight Savings for $29.99 when it's available later this year. Whether or not the world is ready to embrace artificially intelligent "you had one job"-type objects remains to be seen. Experts cautioned a quick reaction to praise or dismiss the products. "At their size, everything they launch is both critical to their success and not important at all. Most of Amazon’s launches have started as a hope, many have failed, some have succeeded beyond anyone’s wildest imaginations," Siegel said. The behemoth retailer also rolled out a new Smart Plug to control lights, fans, coffee makers, or almost any other thing requiring an electrical outlet in any room of the house. The plug will be controlled by Echo and Alexa's voice controls. 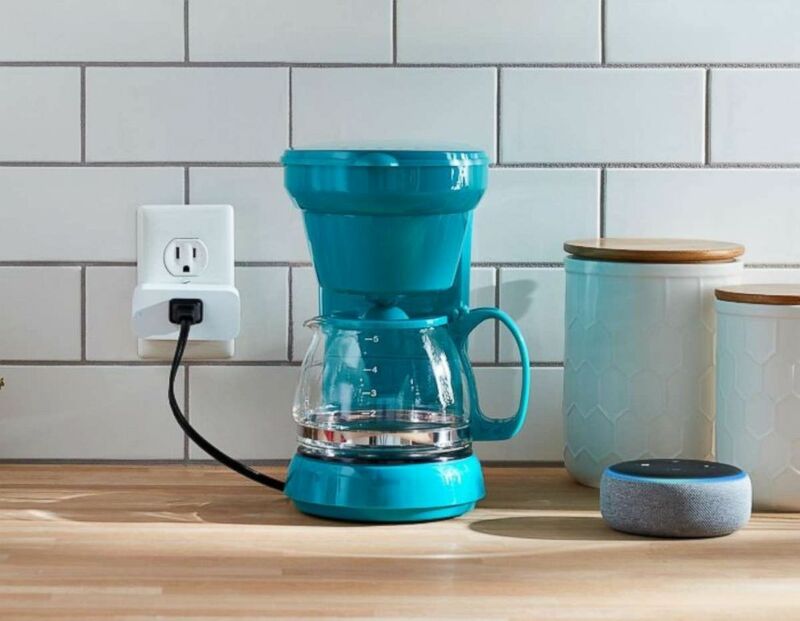 (Amazon) An Amazon Smart Plug is pictured in photo released by Amazon on Sept. 20, 2018. There are also updates to the Echo Dot ecosystem. The small speaker will now be 70 percent louder and have features like a line-out jack and Bluetooth to connect to a separate speaker. Amazon debuted Echo Link as well, which will pair with existing stereo equipment to control "music selection, volume and multi-room playback on your stereo" with the Echo or the Alexa app. 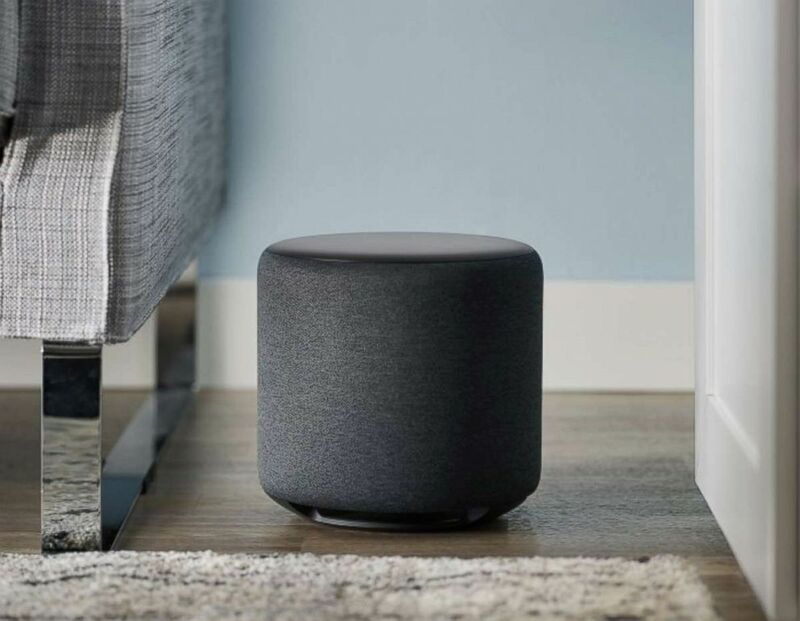 (Amazon) An Amazon Echo Sub is pictured in a photo released by Amazon on Sept. 20, 2018. Echo Auto brings Alexa into the car, with eight microphones to allow voice controls to be heard over music and traffic noise. Alexa, what's new with you? Amazon also launched new features for its four-year old personal assistant, Alexa. The new features allow for Alexa integration into customers' lives from morning to night, bedroom to commute. Amazon aims to have her be more cognizant regarding emotions and nuance and the ability to recognize whispers is a step in that direction. "Gone are the days of waking up your spouse or partner to ask Alexa for the weather in the morning or turn your alarm off. Whisper Mode is a new feature that allows you to whisper to Alexa, and she will whisper her response back to you. "We're working on a system to make Alexa more opinionated and personal," the company said in a post on its blog. The new "Follow up" feature boosts the personal assistant's short-term memory. Users can say, "What's the weather in LA?" And then later on, if they ask about a restaurant, the device will know that they mean in Los Angeles. The company also introduced "Alexa Captions" on Echo Show and Echo Spot devices for the hearing impaired. For parents, Alexa can start getting kids to bed with "Routines for Kids." "Parents can now easily create routines for the family using simple templates. So when you say, 'Alexa, good night,' Alexa will say a nice message that you can customize, turn off the lights and start sleep sounds," according to the blog.